If one was to write the greatest inventions made in their opinion, the measly toilet paper may not even come to mind. However, toilet paper may be more important than you think. We need it, and we cannot live without it. They are the silent yet reliable guardian accompanies us in our most private moments. However, let us face it; the current design of toilet paper is flawed. Several brands of toilet paper can easily clog the pipes in your bathroom when you flush. Some offer softer and more sensitive varieties, but these often come at the cost of durability. They easily break when with wetness or pressure, which makes them lose their purpose easily. They can also feel very dry, which can hurt the skin when you use them. There is also the issue of vast amounts of paper wasted, which can hurt the environment. Then the world was introduced to a new alternative. Wet wipes are readily moist, soft, and even scented. They have built-in antibacterial fighting power, and they are perfect for those with sensitive skin. Looking at it, it may be the solution to toilet woes. While looked at as an upgrade to the old toilet paper, wet wipes also had its problems. They, like the toilet paper, clogged up bathrooms during flushes. They are also thinner and come at prices that are more expensive. This means you cannot compensate the thinner design by adding more. The world awaited for the next big thing – a creation that combines the best of both worlds. A wipe that can do the job properly, is durable, antibacterial, and does not harm the planet. 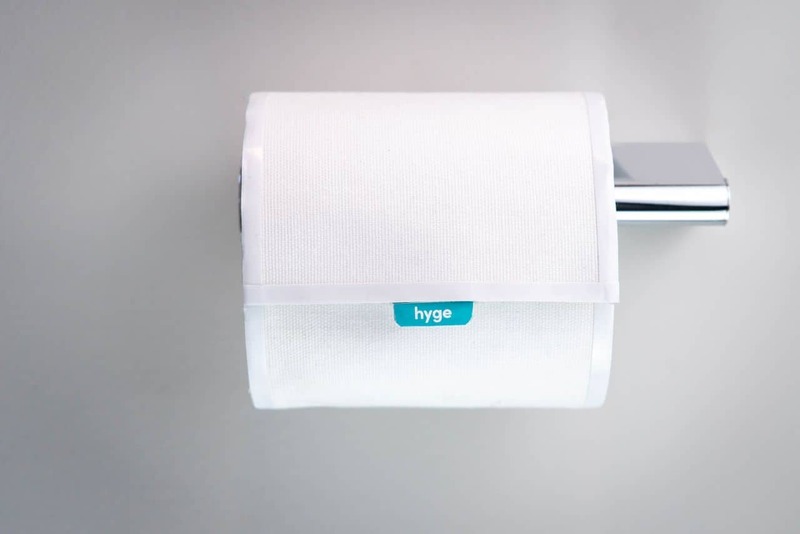 The Hyge wipes is a bold new creation currently generating a lot of buzz with its kickstarter page. It is completely flushable, which is great news for those who do not want a complicated bathroom experience. The Hyge wipes are made of biodegradable material. They are designed to do no harm to the planet once disposed after use. As for utility, one might wonder how they fare against the toilet paper and wet wipes. I mean, sure, they are eco-friendly and can be flushed without fears of clogging. Nevertheless, will they be any better at wiping when you use them in the bathroom? The answer to that is a resounding yes. The Hyge is a thick, double-ply wipe that can take a beating. It will not break easily upon use. To compare, one ply of Hyge can match up against seven layers of toilet paper. Best of all, it is absorbent, non-irritable, and an antibacterial to boot. This provides you with less hassle while in the bathroom, and also gives you protection and safety. For eco-lovers out there, know that by using one layer of Hyge (against the seven for toilet paper), you also help save paper in the long run. When flushed, it fully degrades in the span of two weeks. So using wipes regularly will also be a guilt-free experience.